Have I ever mentioned that Redshift’s The Quest ($7.99) is an absurd value for money and one of the most expansive RPG adventure games available on mobile? Because just in case I haven’t, it is, and it is growing even larger today thanks to a new expansion being released. The Quest – Celtic Queen ($2.99) is an expansion adventure developed by longtime Redshift collaborator Zarista Games, and it was originally released as an expansion for what is now known as The Quest Classic way back in 2012. Today’s release is the high resolution remastered version of that expansion, which is compatible with the high resolution remastered The Quest. Here’s a brief synopsis of Celtic Queen. Habren is Queen now, thanks to you. However, King Locrinus’ brother Kamber has challenged her right to the throne. He’s taken Madden’s two sons under his control and assembled an army to fight Habren. Merlin holds the key to the future and would protect her but he’s besieged by an opposing faction of wizards. He calls once more on your skill and daring, Heroic One. It’s your mission to make order out of chaos and save the Queen. If you’re somehow new to The Quest and all these different versions are seeming confusing, don’t worry, it’s not really as complicated as it looks. 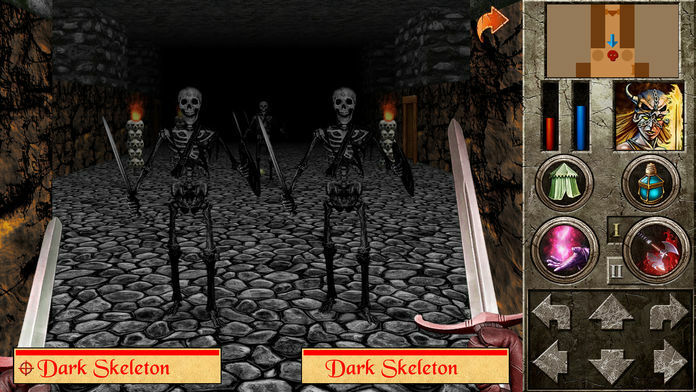 The original iOS version of The Quest released way back in February of 2009 and featured an expansive, hand-drawn first-person open-world RPG adventure. Numerous expansions were released for it over the years, but when developer Redshift launched the high resolution remaster of the game in 2016 they went back and renamed all the original releases The Quest Classic. All those original games and their many hundreds if not thousands of hours of content are all still perfectly fine and playable, but use the lower resolution visuals and a less feature-rich game engine. Now the focus is on releasing new and existing expansions for the remastered version of the game, all of which use the title “The Quest" in the App Store. They’re also the only versions that are Universal with iPad support, so that’s another way to make sure you’re buying the right stuff. As with all the expansions for The Quest, you can either play Celtic Queen as a completely standalone experience or you can enable the expansion content in the base The Quest game by visiting the Mithria harbor and talking to captain Hanty, then selecting “Celtic Queen" as your travel destination. If you go that latter route, you don’t even need to keep the Celtic Queen app installed on your device any longer, which I think is nice. Whether you’re going remastered or classic, I urge everyone to be playing The Quest in some form as it’s long been one of the biggest and most content-heavy RPGs on the entire App Store and I look forward to any and all future expansions coming out.